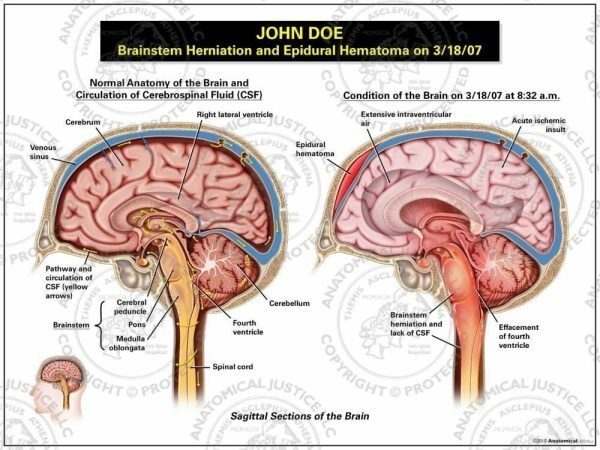 This exhibit compares the normal circulation of cerebrospinal fluid to the condition of the brain on 3/18/07 at 8:32 a.m. 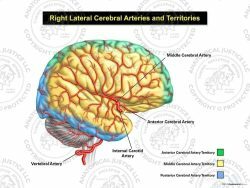 The normal circulation of CSF begins with its production by modified ependymal cells in the choroid plexus, around blood vessels, and along ventricular walls. 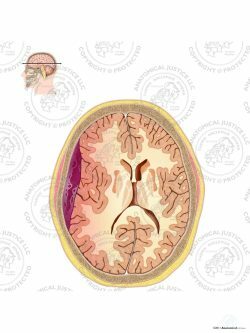 CSF then circulates into the lateral ventricles, third ventricle, fourth ventricle, median aperture, lateral apertures, and into the subarachnoid space around the spinal cord and brain. 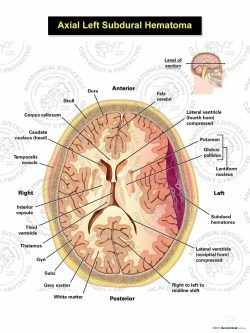 Extensive intraventricular air and an epidural hematoma compress the surrounding vasculature, causing ischemia. 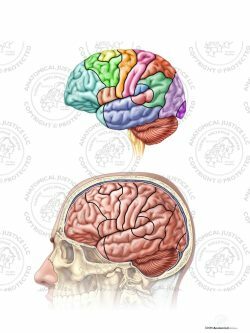 Herniation and swelling of the brainstem prevents the flow of CSF out of the skull to the spinal cord, and effaces the fourth ventricle.